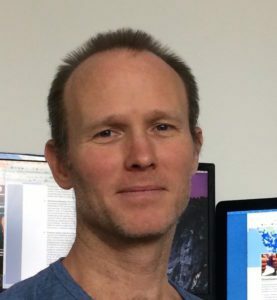 Michael Flynn, Executive Director of the Global Detention Project, holds a BA in Philosophy from DePaul University and a PhD in International Studies from the Graduate Institute of International and Development Studies. Flynn previously worked as a project director at the Institute for Policy Studies in Washington, D.C.; as a project coordinator at the Graduate Institute’s Programme for the Study of Global Migration; and as an associate editor of the Bulletin of the Atomic Scientists. His research has been supported by the Swiss Network for International Studies, the Geneva International Academic Network, the Pew International Journalism Program, and the Fund for Investigative Journalism. Challenging Immigration Detention: Academics, Activists, and Policymakers (Edward Elgar, 2017), edited by Michael Flynn and Matthew Flynn. “Uneven Business: Variations of Privatization of Immigration Detention in Europe,” (Michael Flynn and Matthew Flynn), in Privatizing Punishment in Europe, edited by Tom Daems and Tom Vander Beken (Routledge 2018). “Critiquing Zones of Exception: Actor-Oriented Approaches to Explaining the Rise of Immigration Detention” (Michael Flynn and Matthew Flynn), in Immigration Policy in the Age of Punishment: Detention, Deportation and Border Control edited by David Brotherton and Philip Kretsedemas (Columbia University Press, 2018). “Kidnapped, Trafficked, Detained? The Implications of Non-State Actor Involvement in Immigration Detention,” Journal on Migration and Human Security, 2017, http://cmsny.org/publications/jmhs-kidnapped-trafficked-detained/. “The Many Sides to Challenging Immigration Detention,” in Challenging Immigration Detention: Academics, Activists, and Policymakers (Edward Elgar, 2017), edited by Michael Flynn and Matthew Flynn. “Detained Beyond the Sovereign: Conceptualising Non-State Actor Involvement in Immigration Detention,” in Intimate Economies of Immigration Detention: Critical Perspectives (Routledge, 2016), edited by Deirdre Conlon and Nancy Hiemstra. “Sovereign Discomfort: Can Liberal Norms Lead to Increasing Immigration Detention?” in Immigration Detention, Risk and Human Rights (Springer, 2016), edited by V. Mitsilegas, R. Koulish, and M. J. Guia. “Who Must Be Detained? Proportionality as a Tool for Critiquing Immigration Detention Policy,” Refugee Studies Quarterly, 2012. “Political Minefield,” in Landmines and Human Security (Suny Press, 2004), edited by Richard A. Matthew, Bryan McDonald, and Kenneth R. Rutherford. “How the Global North is Turning the Global South into an Immigration Detention Gulag,” presentation at the Annual Conference of the Association of Global South Studies, Marrakech, Morocco, 14-16 December 2018. “Are There ‘Alternatives’ for Children?” Presentation at the conference “Immigration Detention of Children: Coming to a Close?” hosted by the Council of Europe and the Czech Ministry of Justice (25-26 September 2017) in Prague. “BRIEFING: Multi-national companies providing immigration detention services.” Prepared for the UN Working Group on the Use of Mercenaries. April 2017. “Analyzing Immigration Detention from a Global Perspective.” Presentation at the workshop “Immigration Detention in the Age of Migration Control” held at the University of Southern California and co-hosted by the USC Gould School of Law, Border Criminologies at Oxford University, and the UCLA School of Law. 7 April 2017. “Kidnapped or Disappeared: Non-State Actors and Immigration Detention.” 3rd CINETS Conference: Crimmigration in the Shadow of Sovereignty, University of Maryland, 7 October 2016. “Immigration Detention, Non-State Actors, and the Abdication of Sovereign Responsibility.” Presentation at “Rethinking the Global Refugee Protection System,” conference hosted by the Center for Migration Studies (CMS) in New York, July 2016. “Immigration Detention Systems: A Global View.” Lecture at Georgia Southern University, Statesboro, Georgia, 18 August 2016. “Human Rights, Business, and Immigration Detention.” Presentation at the UN Human Rights Council side event co-hosted by No Business in Detention and the Human Rights Law Centre, 16 June 2016. “Kidnapped, Trafficked, Detained, or … ? When Foreigners Are Detained by Non-State Actors,” paper presented at the conference “Privatization in the International Arena,” California Western School of Law, San Diego, California, 19 February 2016. “Immigration Detention in Latin American in Comparative Perspective,” presentation at conference organized by the University of Lanus and the Centro de Estudios Legales, Buenos Aires, Argentina, November 2015. “Liberty or Security? Human Rights and the Expanding Landscape of Immigration Detention.” Presentation at the the conference “Detention on a Global Scale: Punishment and Beyond.” The Yale University Law School. 9-10 April 2015. “Concealing and Revealing: The Role of Liberal Norms in the Evolution of Detention Regimes.” Presentation at the Texas International Law Journal Symposium: Immigration and Freedom of Movement. University of Texas at Austin. 5 February 2015. “Children in Immigration Detention: A Hidden Problem.” Presentation at the 4th International Crime and Punishment Film Festival. Istanbul. 7-14 November 2014. “Prepared Remarks for the Working Group on Arbitrary Detention’s Global Consultation on the Right to Challenge the Lawfulness of Detention.” UN Working Group on Arbitrary Detention. Stakeholders Consultation to prepare draft principles and guidelines on remedies and procedures on the right to court review of detention.” Geneva, Switzerland. 1-2 September 2014. “How Japan’s Detention Practices Compare to Those of Other Countries.” Japan Bar Association. Tokyo, Japan. 16 July 2014. “On the Challenges and Importance of Developing Systematic Data on Detention Centres,” presentation at Migreurop workshop, Paris, France. 6 December 2013. “Immigration Detention in Europe: Transparency, Effectiveness, Awareness.” Keynote presentation at the Council of Europe conference “Immigration Detention in Europe: Establishing Common Concerns and Developing Minimum standards.” Co-hosted by the UK’s HM Directorate of Prisons and the Council of Europe’s Parliamentary Assembly. Strasbourg, France. 21 November 2013. “Working with rights advocates to develop data construction on immigration detention laws and policies,” at the International Detention Coalition’s MENA regional meeting. Amman, Jordan. 19-21 November 2013. “Immigration Detention: A Global Phenomenon.” Workshop given at the Summer Programme on International Affairs and Multilateral Governance, The Graduate Institute of International and Development Studies. Geneva, Switzerland. 1 July 2013. “Detention across Borders: The Global Legacy of U.S. Immigration Interdiction Practices,” paper given at the Annual Conference of the Latin American Studies Association, Washington, D.C., 30 May 2013. “Immigration Detention and the EU Stockholm Programme: Trends and Challenges.” Paper given at the “Migration Policy Conference: Stockholm and Beyond.” Dutch Ministry of Security and Justice. The Hague, Netherlands. 9-10 December 2013. “Liberty versus Security: How the Promotion of Fundamental Rights Can Encourage the Expansion of Immigration Detention,” paper given at the 30th Anniversary Conference of the Refugee Studies Centre of the University of Oxford, 7 December 2012. “Immigration Detention in Europe: Lessons for Asia,” presentation given at the 9th Asia-Europe People’s Forum in Vientiane, Laos, which took place during 16-19 October 2012. “Developing Data on Immigration Detention,” presentation given at the refugee rights leadership training workshop organized by Asylum Access and supported by the German Marshall Fund, Graduate Institute, 29 June 2012. “Immigration Detention and Children,” presentation given at Polish Humanitarian Action-hosted events held at the University of Warsaw, the University of Bialystok, and John Paul II Catholic University in Lublin, 20-23 June 2012. “Holding Patterns: Can Advocacy Efforts to Reform Migration Detention Inadvertently Lead to the Growth of Detention Regimes?” Panelist at Open Society Foundation Public Forum, New York, March 2012. “An Introduction to Data Construction on Immigration-related Detention,” presentation given at regional detention workshops hosted by the International Detention Coalition in Beirut, Lebanon, 26-29 September 2011; and Johannesburg, South Africa, 12-14 July 2011. “Europe’s Role in Expanding Detention Regimes,” paper given at conference “Europeanization of Exclusion Policies and Practices,” held at the University of Neuchatel (Switzerland) and co-hosted by IMISOCE and the Swiss Forum for Migration and Population Studies, 16-17 June 2011. “The Immigration Detention Code: Developing Tools for Documenting Detention Practices,” paper given at the Annual Conference of the Canadian Association for Refugees and Forced Migration Studies, Montreal, 11-13 May 2011. “Diffusing Detention,” presentation given at workshop hosted by the University of California-Berkeley Law School titled “Cutting Off the Flow: Extra-territorial Controls to Prevent Migration,” 21-22 April 2011. “The Detention of Non-citizens: An Empirical Primer,” paper given at the Annual Conference of the American Association of Geographers, Seattle, Washington, 12-16 April 2011. “Immigration Detention and the Aesthetics of Incarceration,” paper given at the Oxford Immigration Detention Workshop, University of Oxford, 21 May 2010. “Global Detention Project” brown-bag presentation at the University of Texas at Austin’s Sociology Department ,19 April 2010. “About the Global Detention Project,” presentation given to the UN Working Group on Arbitrary Detention, 7 May 2009. “Where’s the U.S. Border?,” paper delivered at the Annual Conference of the Latin American Studies Association, San Jose, Puerto Rico, March 2006. “The Elastic Frontier,” presentation given at the Annual Immigration Law and Policy Conference, Washington, D.C., 2003. “Immigration Detention in the Gulf” (Michael Flynn and Mariette Grange), Global Detention Project Special Report, December 2015. “How and Why Immigration Detention Crossed the Globe,” Global Detention Project Working Paper, April 2014. “On the Unintended Consequences of Human Rights Promotion on Immigration Detention,” Global Detention Project Discussion Paper, March 2012. “Immigration Detention and Proportionality,” Global Detention Project Working Paper, February 2011. “An Introduction to Data Construction on Immigration-related Detention,” Global Detention Project Working Paper, July 2011. “Putting Immigration Detention in Interdisciplinary Perspective,” Border Criminologies, 29 May 2017. “Behind the Walls of Malaysian Detention Centers.” Interview on BFM Radio (Malaysia), 24 August 2016. “Detention Centers: A Legal No-Man’s Land?” Interview on BFM Radio (Malaysia), 25 August 2016. “Columna de migración, sobre la creación de un centro de detención para migrantes.” Radio FM La Tribu (Argentina), 24 August 2016. Interview (in Spanish) about new the detention center in Argentina. Al Jazeera, “Refugees vs. Economic Migrants: Are EU Policies Changing?” Interview, 18 February 2016. “Detaining Outsiders: Migrants, Borders, and Security,” in Detention on a Global Scale: Punishment and Beyond, Arthur Liman Public Interest Program, Yale Law School, Fall 2015. “Alternatives to detention.” New Internationalist. January/February 2014. “Whither Alternatives to Detention.” Border Criminologies. Oxford University. 4 December 2013. “Immigration, Human Rights, and Language.” Border Criminologies. Oxford University. 4 December 2013. “Be careful what you wish for,” Forced Migration Review, September 2013. Worldview (United States), “Trends in Global Migration-based Detention,” Interview, WBEZ-Chicago/National Public Radio, 28 August 2012. Przekrój (Poland), Interview, 18 June 2012. L’Hebdo (Switzerland), “Sans-papiers: la méthode musclée de la Suisse,” Interview, 26 November 2011. World Radio Switzerland, “Expert surprised by Bern’s ignorance about detention centers,” Interview, WRS, 25 October 2011. Le Temps (Switzerland), “Le manque de transparence en matière de détention administrative est inquiétant,” Interview, Le Temps, 20 October 2011. Coop Radio (Canada), Interview, 18 May, 2009. “Europe: On Its Borders New Problems,” Bulletin of the Atomic Scientists, November/December 2006. “Who’s Trying to Cross the Border? Everyone,” Washington Post, 11 December 2005. “What’s the Deal at Manta?” Bulletin of the Atomic Scientists, January/February 2005. “U.S.-Ecuador: Stretching Borders to Block Migrants,” Inter Press Service, 2 August 2003. “U.S. Immigration Policies: The Double Standard,” Chicago Tribune, 1 December 2002. Editor, Seeking Refuge, special issue of the Bulletin of the Atomic Scientists on global migration and displacement, November/December 2002; author, “Searching for Safe Haven,” introduction to the special issue; author, “Guatemala: Is This Peace?” a featured article of the special issue. “Donde Esta La Frontera?” Bulletin of the Atomic Scientists, July/August 2002. “Chiapas: No Place Like Home,” Bulletin of the Atomic Scientists, September 2000.